Love this serving set. Gret for game day snacks. NFL Team Logo Apron and Chef Hat - 27" x 40"
Add a fun sense of style to your serving ritual with this attractive and unique serving set. 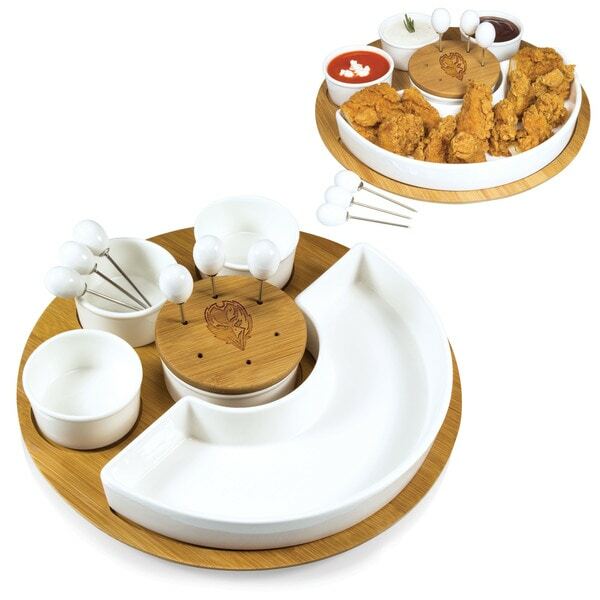 Featuring the logo of your favorite team, this serving set will show your guests what team you cheer for. "Can you put a company logo in the same place you put the NFL team logo?" At this time, this set cannot be customized.